The Department provides financial support for full tuition fees and monthly subsidy of 700,000 Korean won on average for all students. Besides, students with excellent performances will be granted with Outstanding Graduate Student Award. 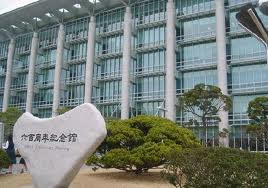 The Department of Energy Science (DOES) was founded at the Sungkyunkwan University, Korea, which has a close partnership with the global company, SAMSUNG. Established from the World Class University (WCU) program funded by the Korean Government, DOES has invited the several world-renown overseas scholars. Demikianlah informasi 2012 Spring Graduate School Scholarships in Dept. Energy Science, Sungkyunkwan University kami sampaikan, semoga bermanfaat.